We have 4 Float tanks, in 3 different styles. 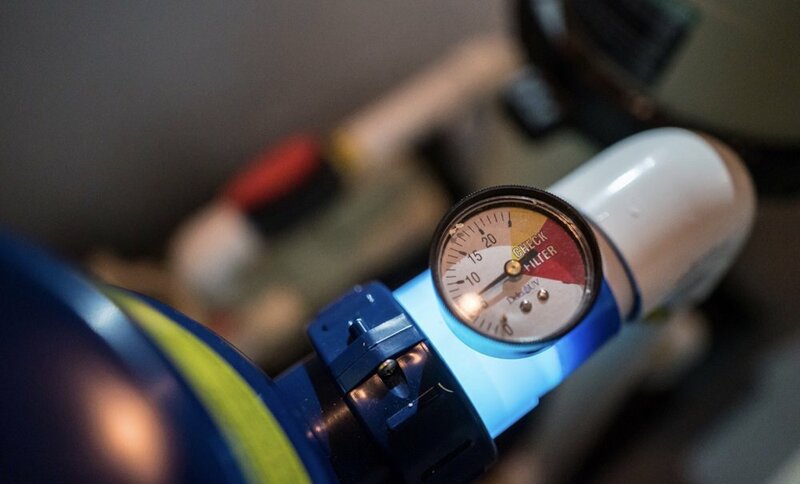 All of our tanks are dialed in for an optimal float experience, and the main differences between them are purely aesthetic. Once you're inside the tank, the experience is practically identical. Different people have different tank preferences: Some people prefer the traditional style of the Oasis and Explorer. Others like the guiding light control from inside the Aphelion as well as its spacey hemispherical door. All 4 tanks are equipped with grab bars, a ventilation system ensuring you have plenty of air during your float, a thorough filtration system, and built-in speakers that wake you with gentle music which we control from our front desk. We recommend trying all of our tanks before settling on a favorite. Our Oasis Float Tank is our O.G. Tank at The Float Experience. The Oasis Tank was first introduced in 1984, and Its traditional style is a favorite among our avid floaters. No light control on the inside - one less step on your way to a true sensory deprivation experience. Our Escape Pod "Aphelions" are our newest Float Tanks found in rooms 2 & 4. If you're a little nervous about floating, they have an optional guiding light that can be controlled from the inside, and the floating area is even bigger than rooms 1 & 3. Our Escape Pod "Explorer" is another floater favorite. This is also a traditional style Float Tank similar to the Oasis, just slightly thinner on the inside. Many of our members describe it as very womblike, providing an awesome float experience from start to finish (There is no light control on the inside). Check out our Memberships here! Our schedule typically books up a few days in advance. You can view our schedule online if you need to find a time that works well with your schedule. High Salt Effect - There's about 30% Epsom salt in the solution in our tanks which kills almost all pathogenic organisms (the Dead Sea was named this for that reason, it's a very difficult environment for bacteria to live in due to the high amount of Epsom Salt). Any that survive are eliminated through the next two stages of filtration and disinfection - particle filtration & Advanced UV Oxidization. NSF certified 10 micron particle filter - Removes all particulates (an average grain of beach sand is 1,000 microns!) . Advanced UV Oxidization - A combination of strong UV light and hydrogen peroxide, which destroys any remaining contaminants and effectively disinfects the solution. As a safer alternative to Ozone (a chemical gas) in enclosed environments, hydrogen peroxide, in conjunction with UV, is steadily becoming the preferred method of filtration for water treatment facilities across the world, including our neighboring city of Orange County, which is using this system to turn waste water into drinkable water city wide. Skimmer - Collects and removes excess oils from the solution. Bad Bad Fan - Ventilation systems which includes both passive and forced fan air circulation. Multiple Complete Filtration Cycles - Our solution runs through multiple complete cycles of filtration between each float, passing through each of the processes listed above. We also conduct regular testing of our solution to ensure the quality and effectiveness of our filtration is top notch.